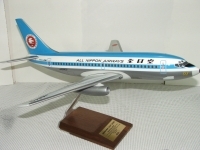 JA8946 A nice Pacmin All Nippon A320 high detail model in 1/144 made specially for the Japan domestic market. A small model but a very cute and accurate model. Custom made by myself using the 1/100 Doyusha ANA decals, reg. is not correct. Rear stabs are upside down. On display at the aircraft spotting area at Gimpo Airport in Seoul, South Korea. 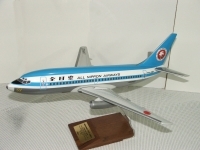 This model was on display at the airport viewing gallery at Gimpo Airport, Seoul, South Korea, which I visited in early December, 2013. On display at the observation deck aircraft viewing area at Gimpo Airport, in Seoul, South Korea.